Inquiries – The Sevierville Chamber of Commerce offers several ways for your business to reach potential customers. From providing daily mailing services to supplying our members with visitor and business leads, the Sevierville Chamber of Commerce offers resources to help your business grow. 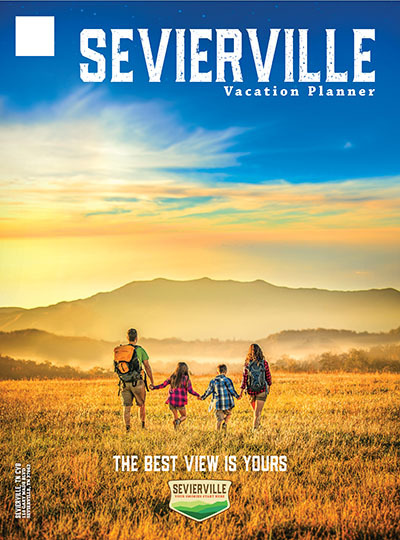 (Available for Division 1 & 2 Members Only) - Potential visitors request the Sevierville Vacation Planner through VisitSevierville.com, by calling our offices and by requesting information from magazines in which we advertise. Each year we fulfill well over 150,000 leads by mailing a Sevierville Vacation Planner as well as additional area information to these potential visitors. Division 1 and 2 members may take advantage of these requests for information by enrolling in our Mail Program and being included in this requested piece of direct mail. To learn more, including per piece postal rates, please visit The Thomas Group, Email or call 865-453-3978. (Available for Division 1 & 2 Members Only) - Real Time Leads are requests for information from potential visitors or new residents who are seeking to learn more about Sevierville. When a potential visitor requests information through our websites (such as a Sevierville Vacation Planner, Relocation Information, etc.) and consents to receiving additional information from our members, their contact information becomes part of our Real Time Leads program. Real Time Leads are accessed through the Chamber Members area of this site and can be sorted by date range. Leads are offered in three categories: Vacation, Group, or Relocation and can be easily imported into virtually any mailing software that you may be using. Division 1 Subscribers have access to an Excel spreadsheet download that contains the last thirty days of lead activity. Division 2 Subscribers are subject to a thirty day delayed release on the leads. To sign up for Real Time Leads, contact David Stanfill at 865-453-6411 or by email at dstanfill@scoc.org. There is an annual $50 setup fee for this service. Click the button below for details about advertising with The Chamber.